Hello, I was wondering if you guys think it would work to move the heater cartridge from the default FT-5 hot end, to the E3D Cyclops. I was thinking of changing out the assembly, in hopes of adding some dual material/color printing. The thing is, the kit I have is set up for a 12v system, instead of a 24v system. So, that is why I am wondering if this will work. If only to save some money in the short term. Do you think I should just bite the bullet, and get the E3D specific 24v heater cartridges? Also, I am curious what wires were used for the controller side of the heater cartridge setup? They are so flexible and soft, I would like to get some more, just in case I decide to set up the Chimera configuration. The FT-5 seems like it would be much easier to alter than my Robo. It was a bear to reconfigure. 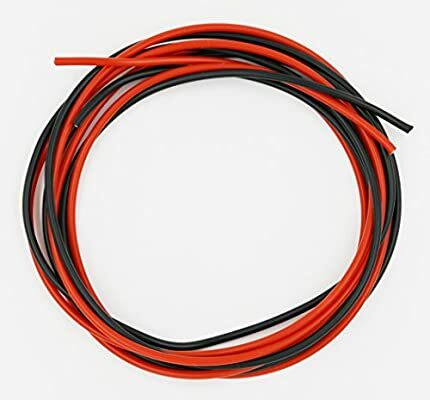 It's silicone wire with a high strand count. Thank you! I really appreciate you pointing me in the right direction! That is exactly what I am looking for.